Many were shocked when video game company Glu Mobile announced that their mobile game Kim Kardashian: Hollywood had been downloaded a whopping 42 million times. Also players had logged almost 35,000 years of total playtime, meaning many were hooked trying to reach celebrity status in Glu Mobile’s game. It is clear then, that this is one successful game, and shows how popular Kim Kardashian currently is. Actually, the ubiquitous socialite and reality TV star is one of the most recognisable women celebrities in the world, so it makes sense that Glu Mobile choose her to be the star of Kim Kardashian: Hollywood, which came out in summer 2014. And there is no doubt that “star power” helps mobile game creators make money, as Kim Kardashian: Hollywood made an astounding $100 million (£72 million) in its first 15 months on the market according to gaming website GameSpot. And Kardashian herself clearly took a big chunk of this too, as the A-list celebrity reportedly made more than $50 million (£36 million) herself in 2015. But even if Kim Kardashian: Hollywood is actually a pretty entertaining game, which involves creating a celebrity by choosing his or her looks, and then trying to make the A-list as an actor or fashion designer (by dating other celebrities for instance), it is clear that Glu Mobile wouldn’t make a fraction of the cash it’s made so far if Kardashian did not feature in the game. Kim Kardashian’s mobile game is doing pretty well. Because clearly Kim Kardashian: Hollywood is not better or more entertaining than the average mobile game out there, and it’s likely that people wouldn’t spend a dime in the game if no real A-list celebrity like Kardashian featured in it. Actually, it is possible to hang out with Kardashian in the game, and Kim herself has tweeted about the game on her Twitter account, surely leading to more player involvement. 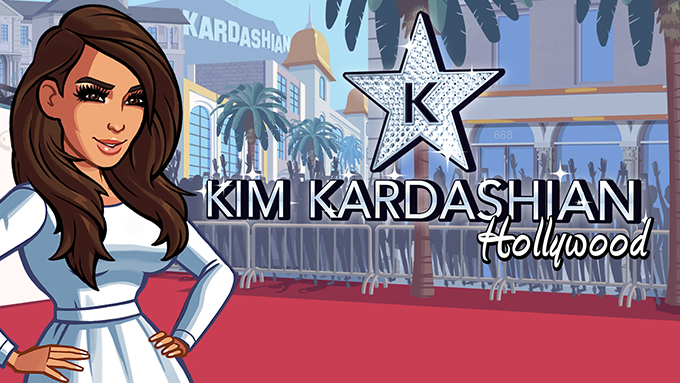 And other makers of casual mobile games like Kim Kardashian: Hollywood have also learned that star power sells. For instance, the widely played Game of War features swimsuit model Kate Upton not only in its multi-million dollar advertising campaign, but a cartoon version of her also appears in-game to entice the player to spend money on microtransactions like paying to skip wait timers and the like. And it is clear that Game of War wouldn’t be the massive hit it is without Kate Upton’s celebrity backing. Also, other mobile game makers like Supercell know that signing an A-list actor to appear in their advertisements can be the difference between success or failure in the mobile world. And their ads featuring actor Liam Neeson have certainly helped draw the crowds to their Clash of Clans mobile game. In the end though, star power and celebrity endorsements certainly help game creators like Glu Mobile make millions and make their games stand out in a crowded market, and given the public’s fascination with the world of celebrities, there is no doubt that we’ll be seeing more celebrity-based video games like Kim Kardashian: Hollywood in the future.